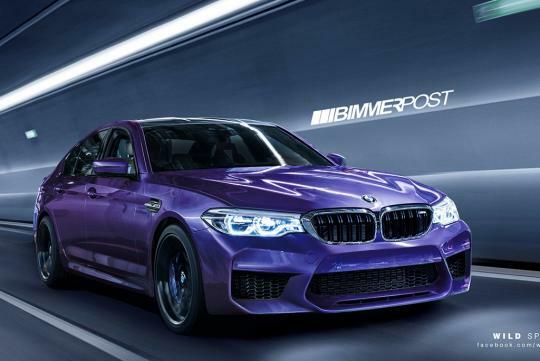 Customer and dealers in South Korea have been treated to a sneak preview of the new M5 which is said to have more than 600bhp. Sources online have verified that the new super saloon will have a twin turbo 4.4-litre V8 engine and when combined with its new all-wheel drive system, the car will be able to hit 100km/h in less than 3.6 seconds. This new drivetrain will also have three different modes to vary how much power is sent to the rear wheels. In its most extreme mode, up to 100 percent of its power can be sent the rear, which is similar to what the Merecedes-AMG E63 S is equipped with also. According BimmerPost, The car's power unit will be paired to an improved 8-speed automatic transmission and will have a carbon fiber roof. For those wondering when the new car will be launched, it is rumored to be ready by the third quarter of this year.